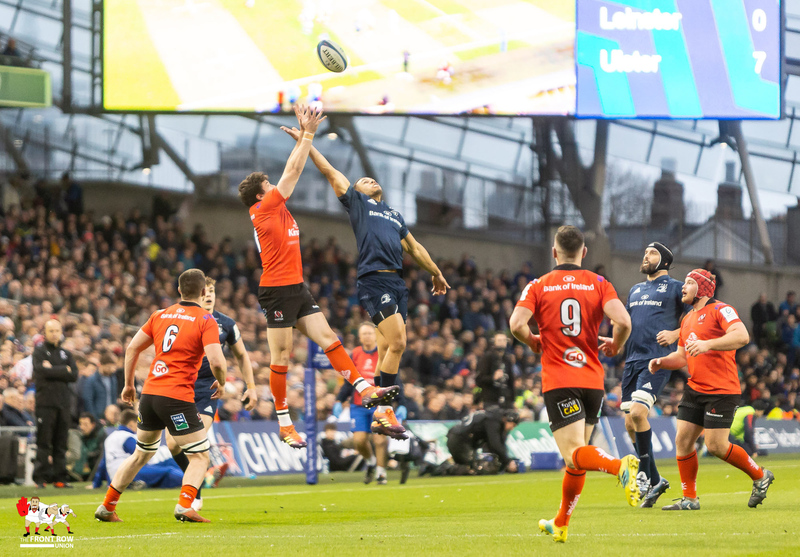 Saturday 30th March. 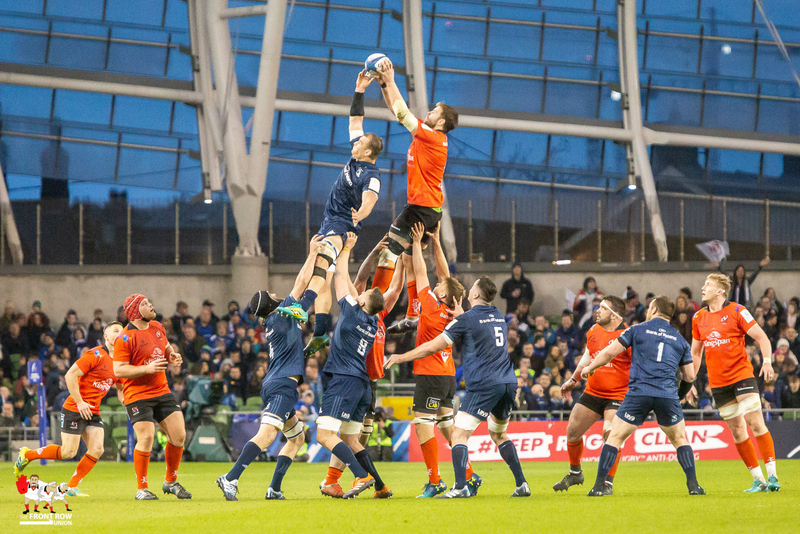 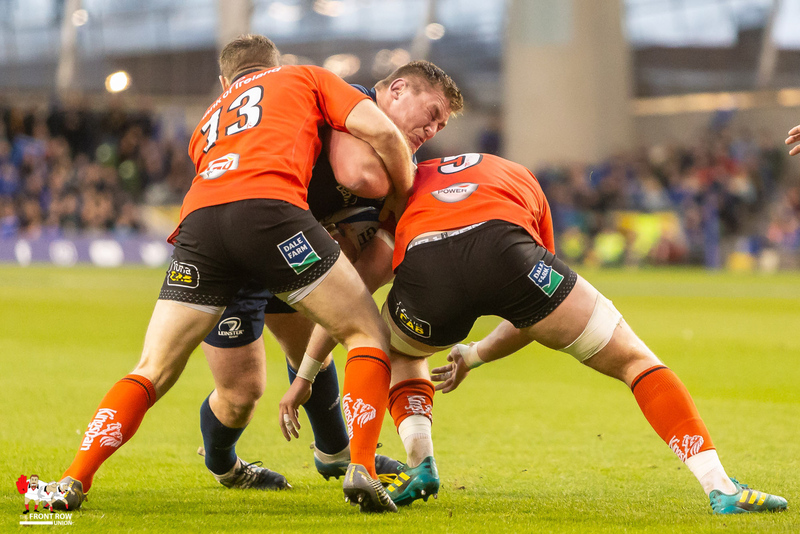 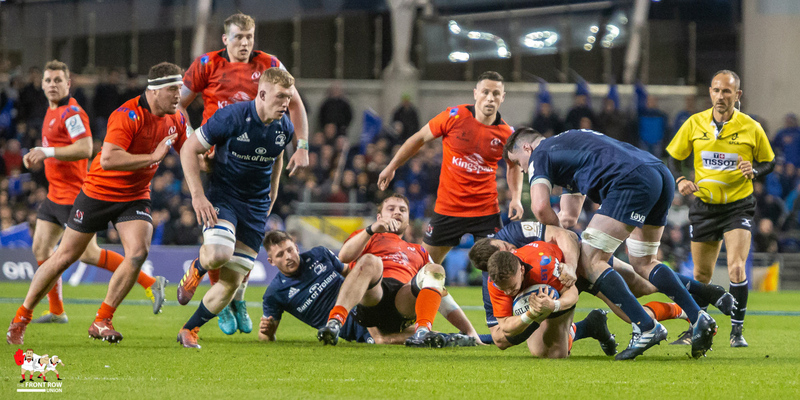 Ulster's European Cup participation comes to an end following a 21 - 18 loss to Leinster. 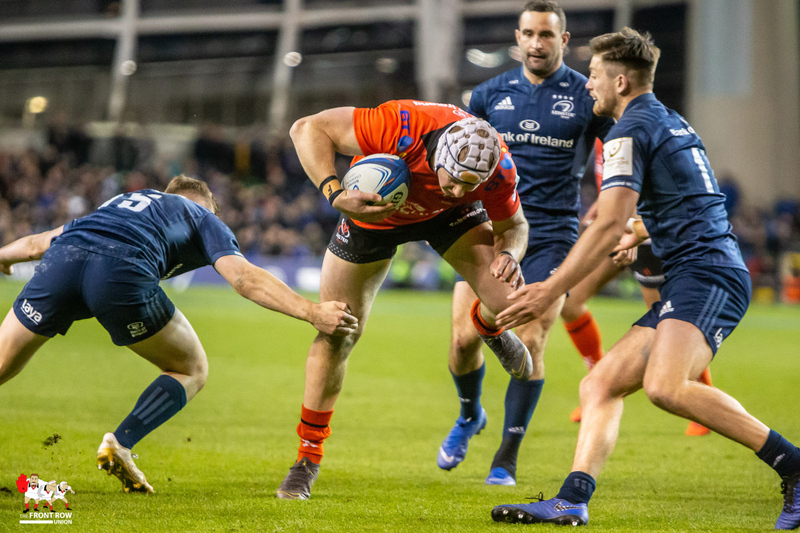 A late Ross Byrne penalty edged out Ulster in Saturday’s attritional Champions Cup match at the Aviva Stadium. 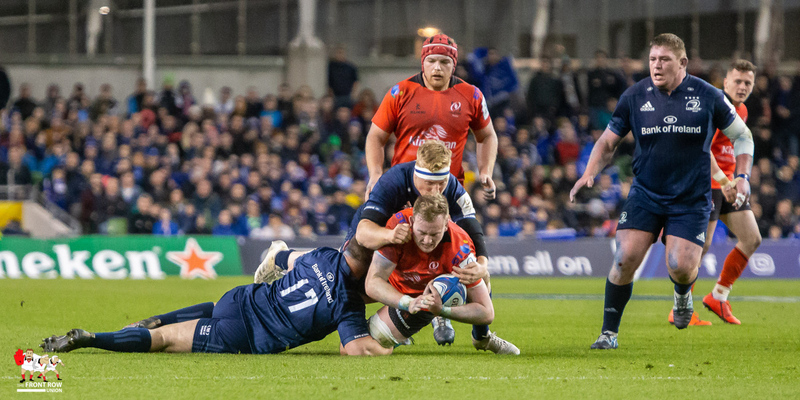 Tries from Kieran Treadwell and Luke Marshall were not enough as Ulster battled bravely but ultimately succumbed to a strong Leinster side. 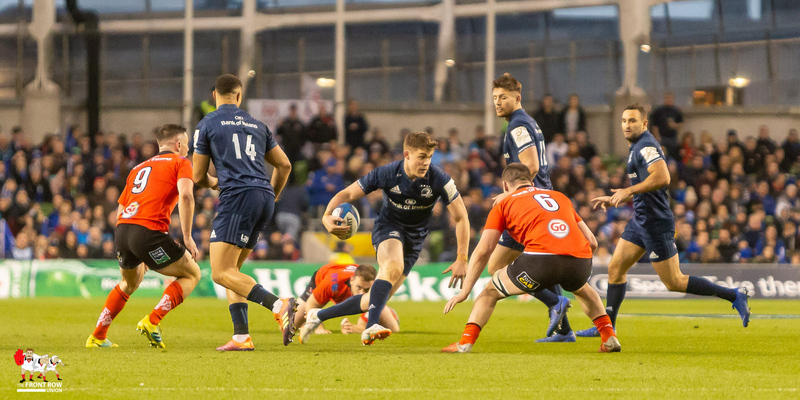 I picked out Ulster’s tendency to concede an early try against Leinster in the last few trips down to Dublin however it was the away side that started with a bang. 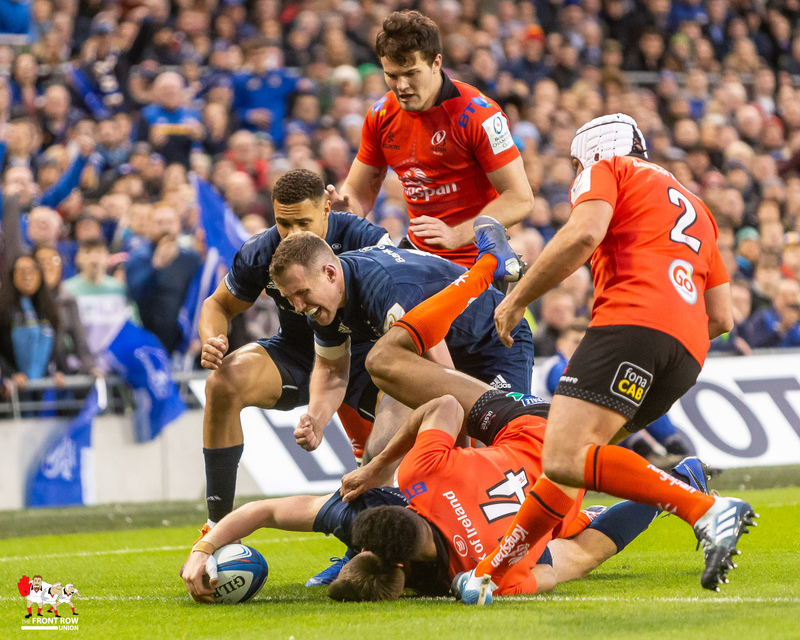 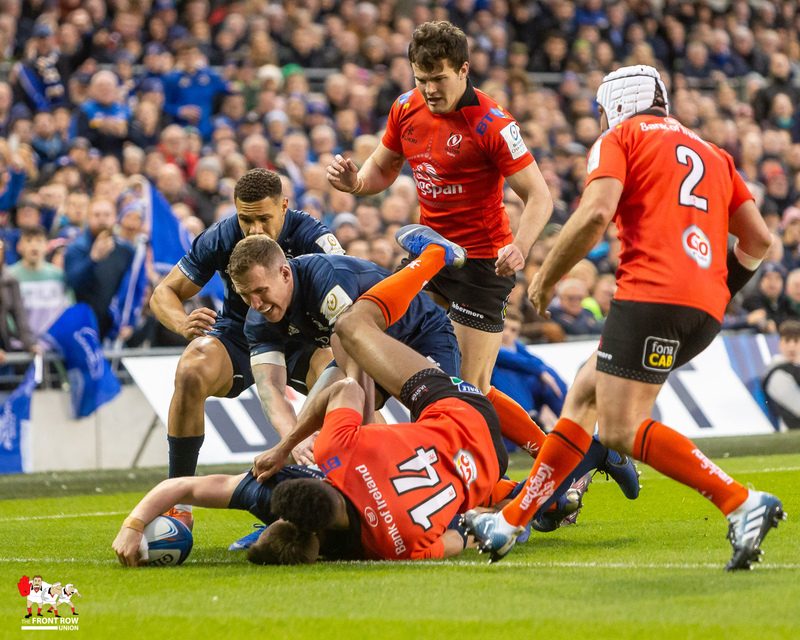 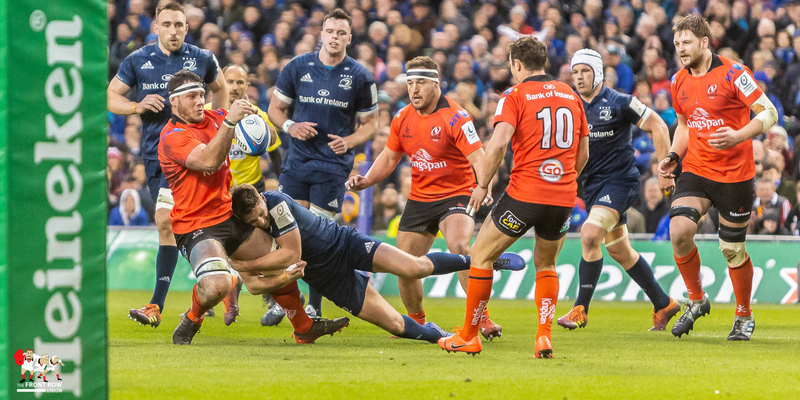 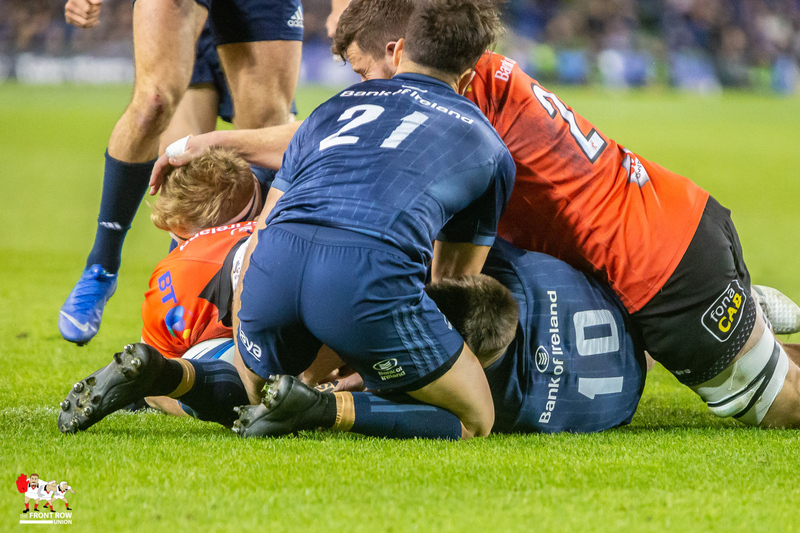 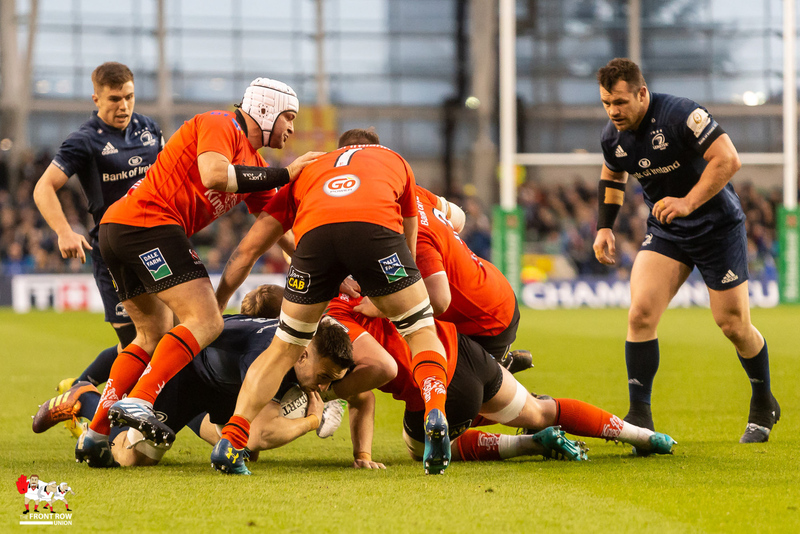 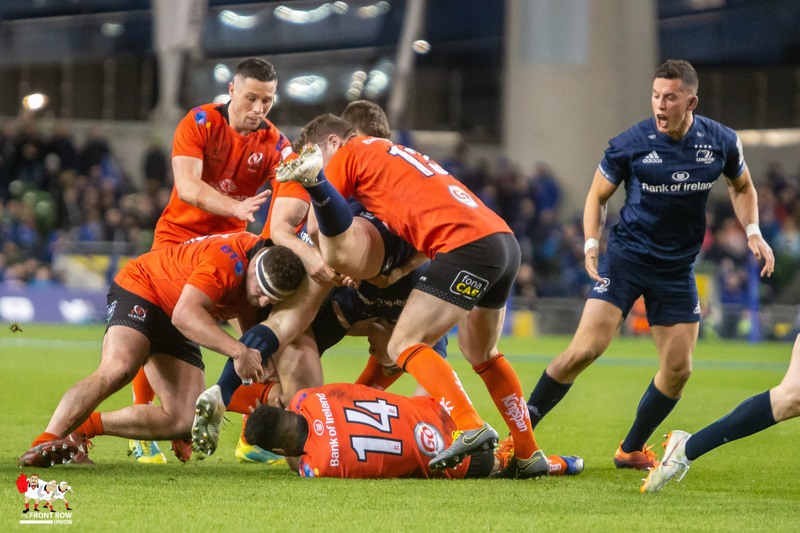 A scrum on the fifteen inside the Leinster 22 allowed Jacob Stockdale a one-on-one with Adam Byrne. 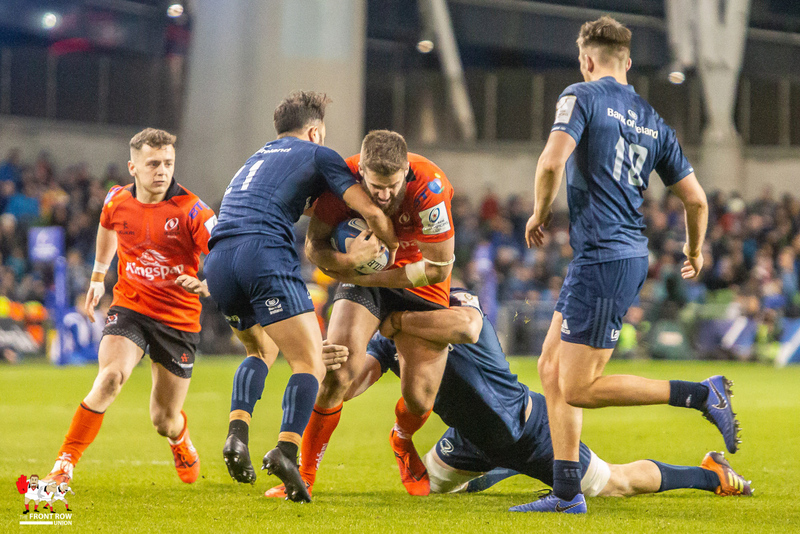 Although Byrne managed to bundle the Lurgan man into touch it set the tempo of the game and one that Ulster did exceptionally well to keep up for 80 minutes. 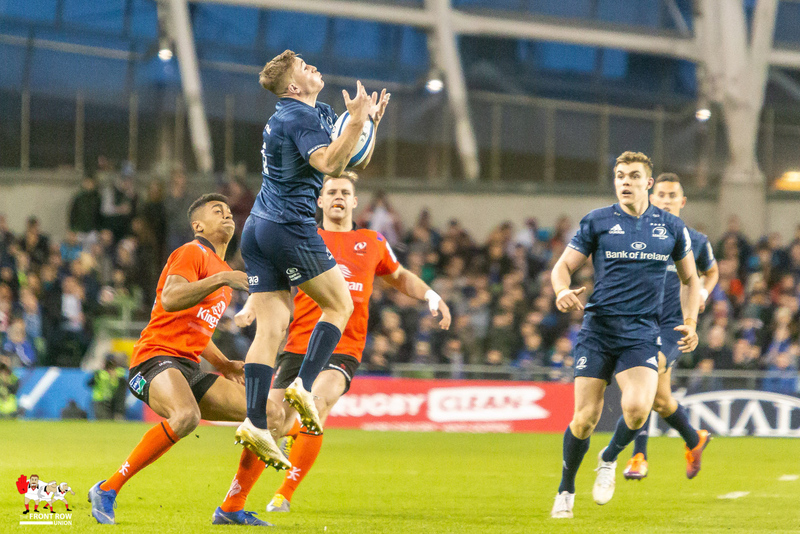 The breakthrough game from Kieran Treadwell four minutes in. 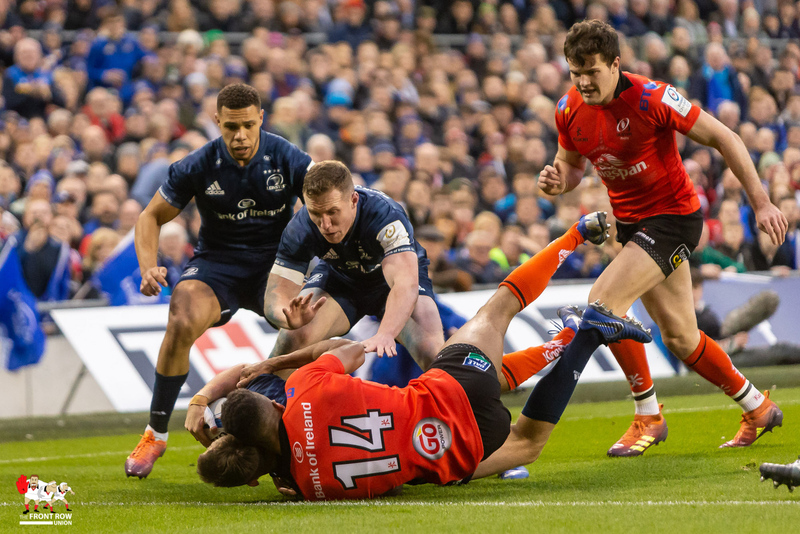 After a lost lineout, Garry Ringrose found himself running across the pitch looking for a gap against a well set Ulster defensive line. 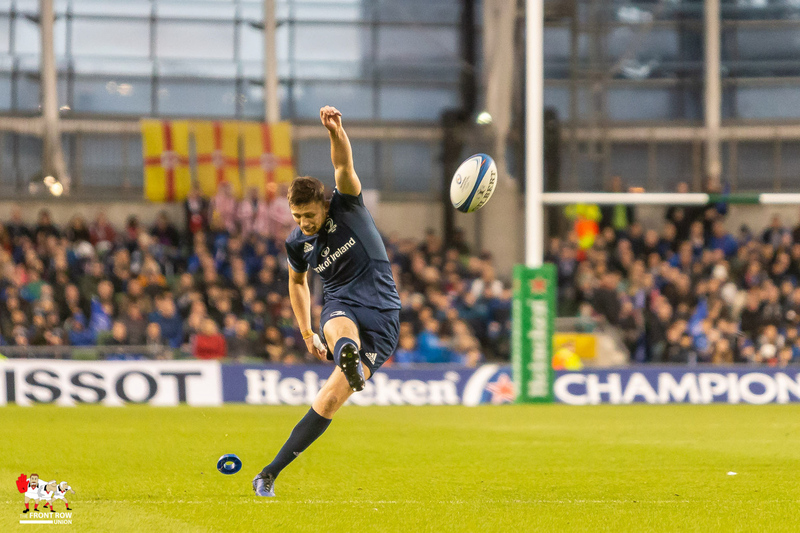 His kick was charged down by Rory Best and Treadwell was first to the ball. 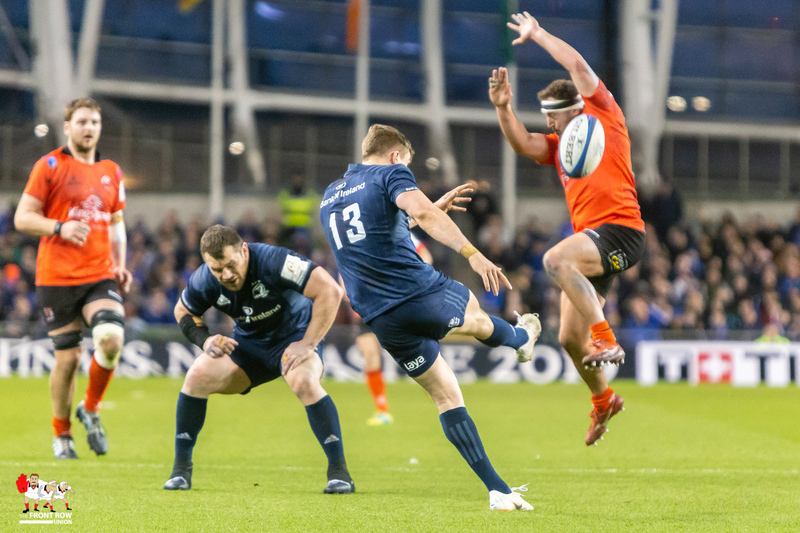 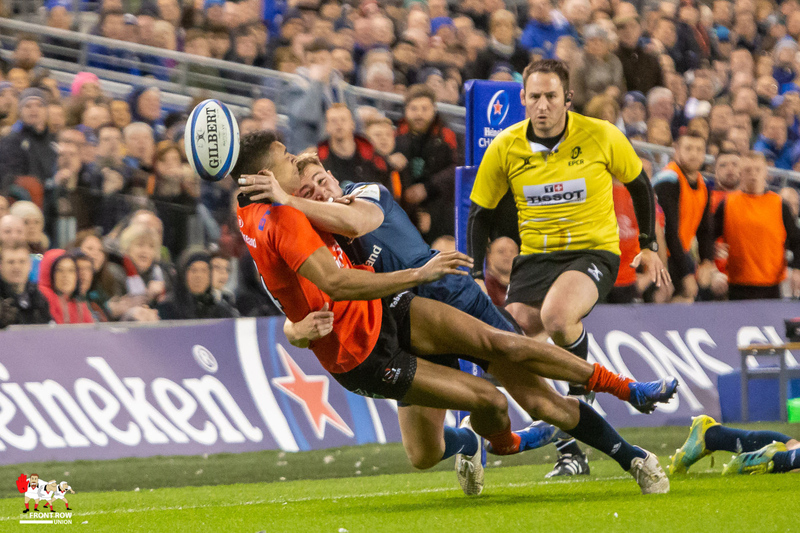 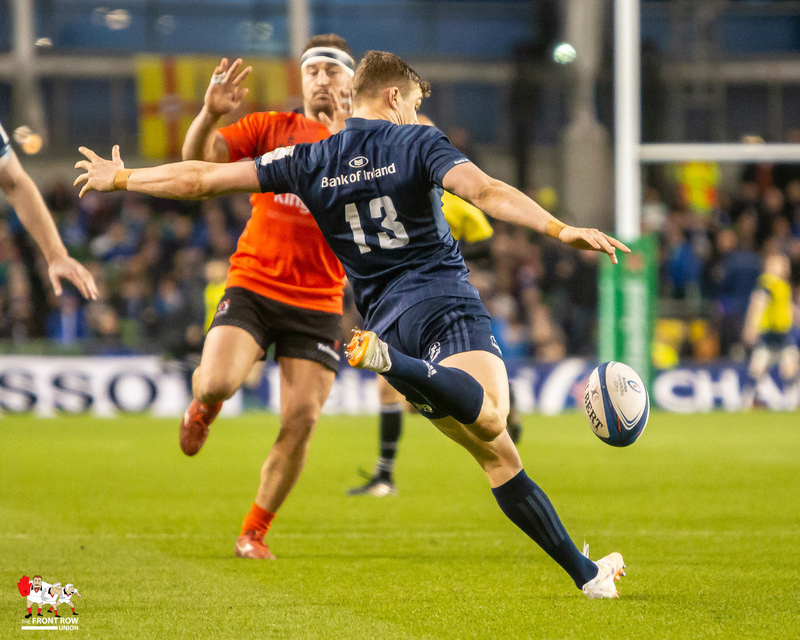 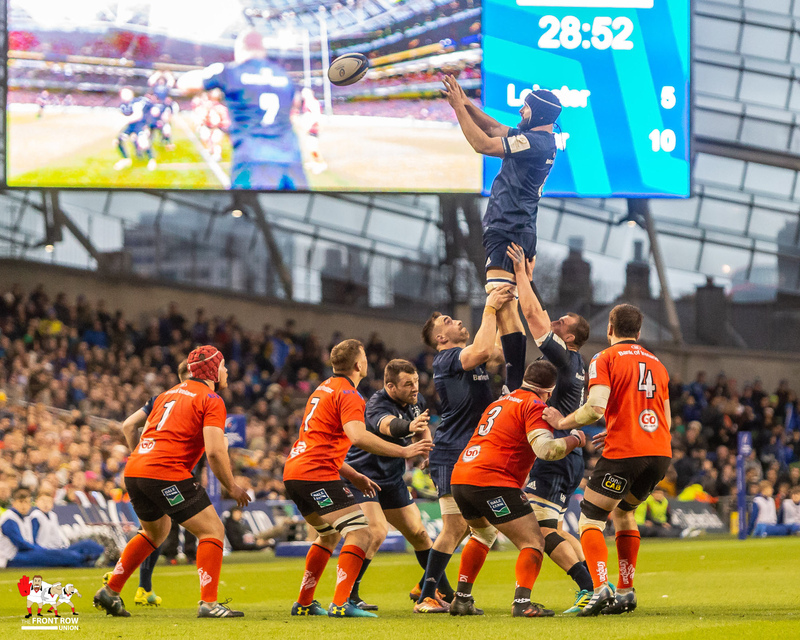 Leinster showed why they’re double champions however and responded seven minutes later. 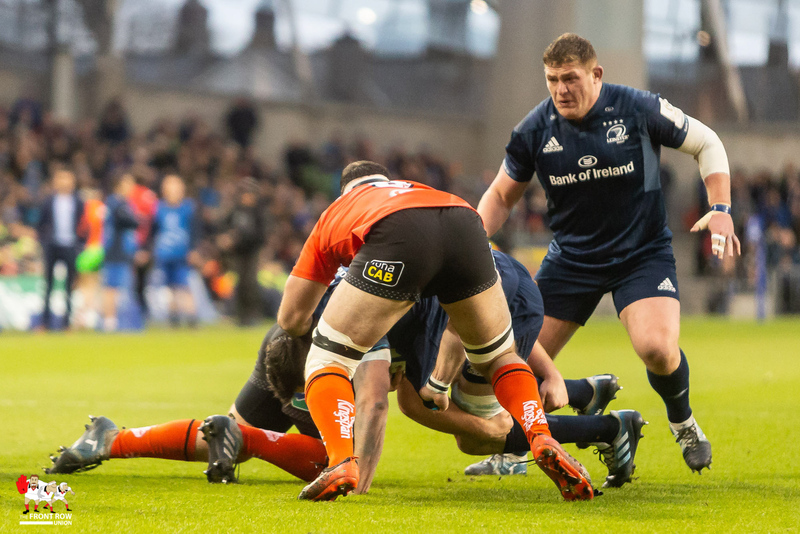 Their ability to control the ball paid dividends at the end of the match but Ross Byrne capitalised on a solid platform and numbers up in defence to bring the Dublin-based side to within two points. 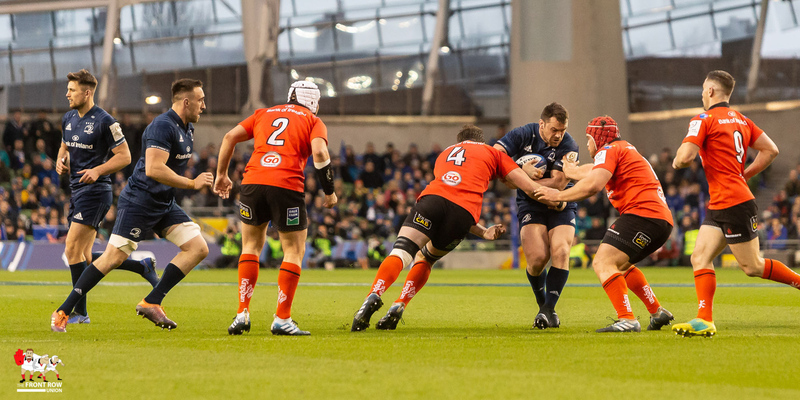 Defensively Ulster were excellent all night. 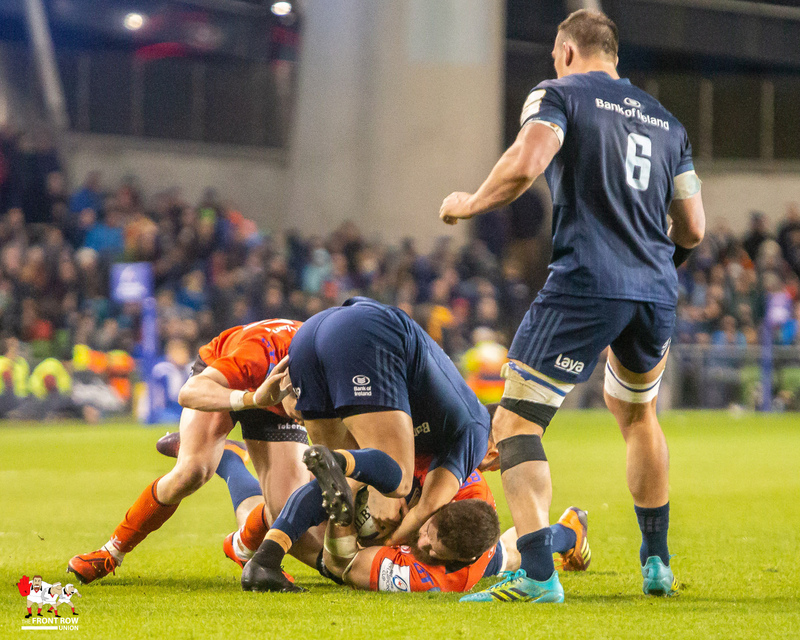 Both Darren Cave, Stuart McCloskey and Darren Cave made crucial, momentum-stopping tackles inside the first 20 minutes and collectively made 34 of 228 tackles. 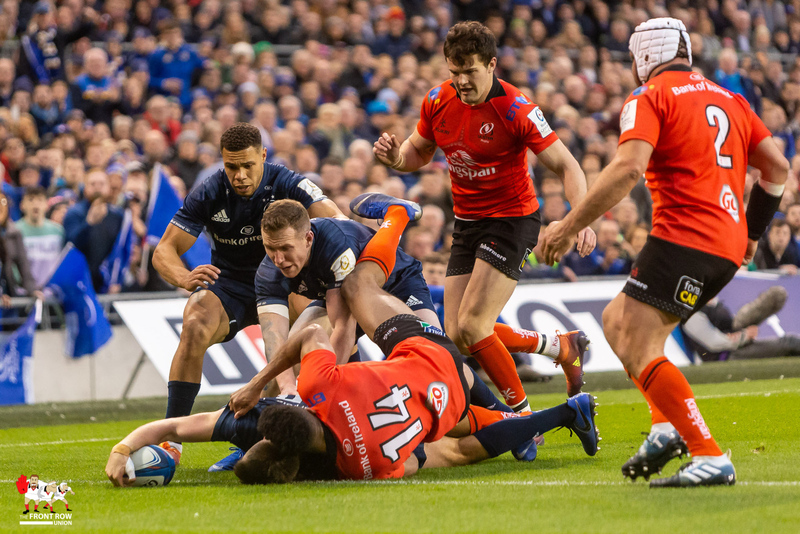 Wing is such a difficult position to defend, but Baloucoune pulled off a magnificent try saving tackle on Dave Kearney six minutes before the end of the half and was then straight back to his feet to win the turnover if it wasn’t for an advantage for an earlier infringement. 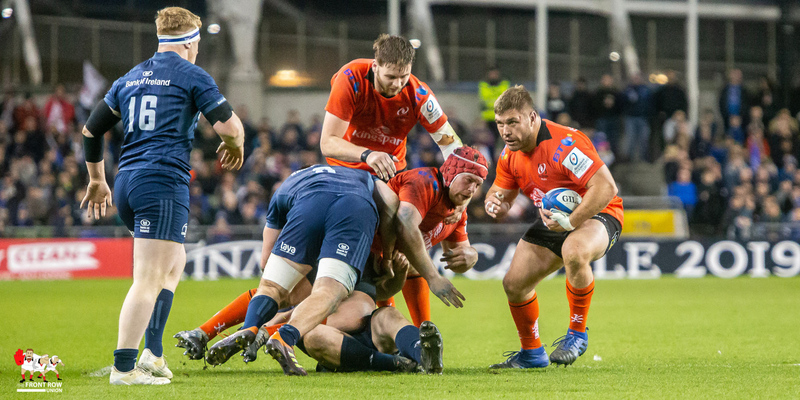 After two Byrne penalties, John Cooney gave Ulster the lead at half time with a penalty representing the first time Ulster have won a half of rugby in Dublin for only the second time since 2014. 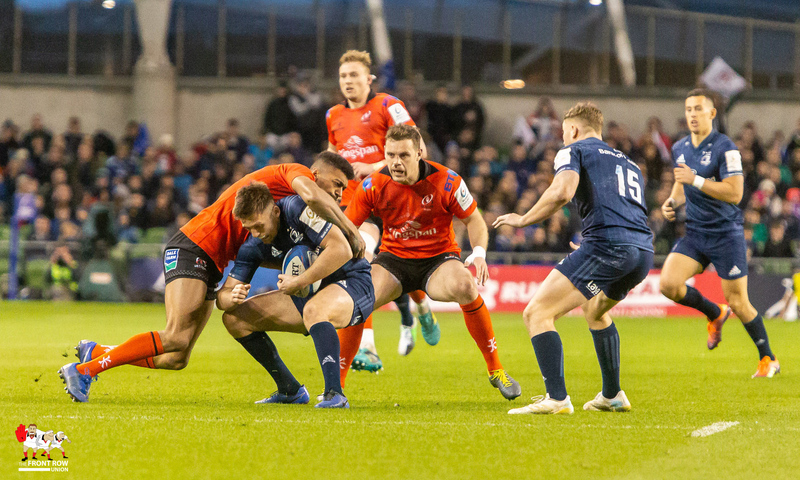 Ulster started the second half as they started the the first, with a Rob Herring charge down and then Stockdale could have put seven points between the sides after a tearing run down the left wing. 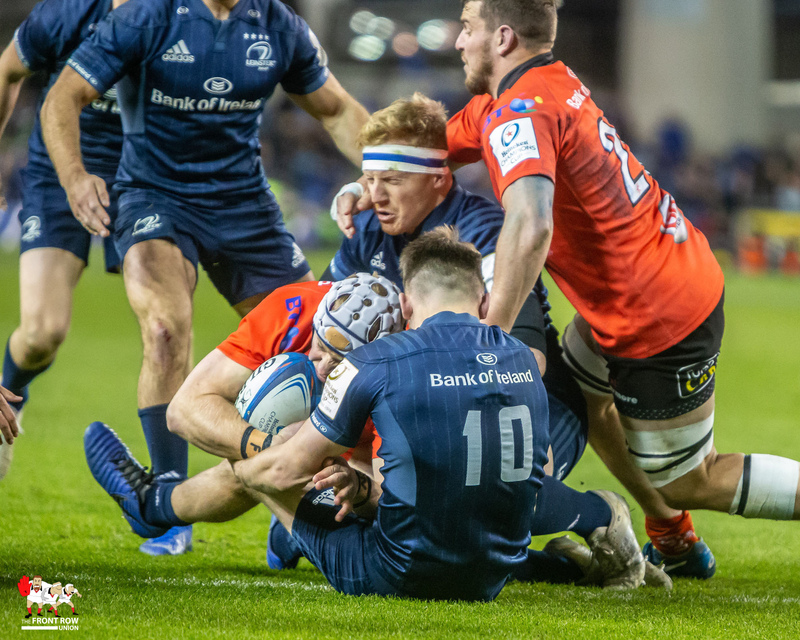 While it should have been a try it’s hard to not notice the work that the 22-year-old did to get in that position, beating Jordan Larmour, Adam Byrne and Luke McGrath in the process. 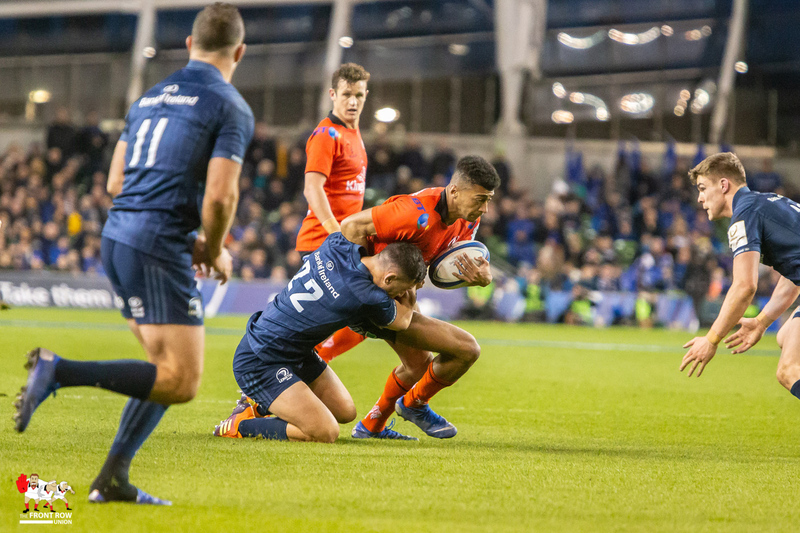 His confidence underlines his quality and it showed as he took a superb garryowen in the next play and then went on to perform his signature chip and chase 15 minutes later. 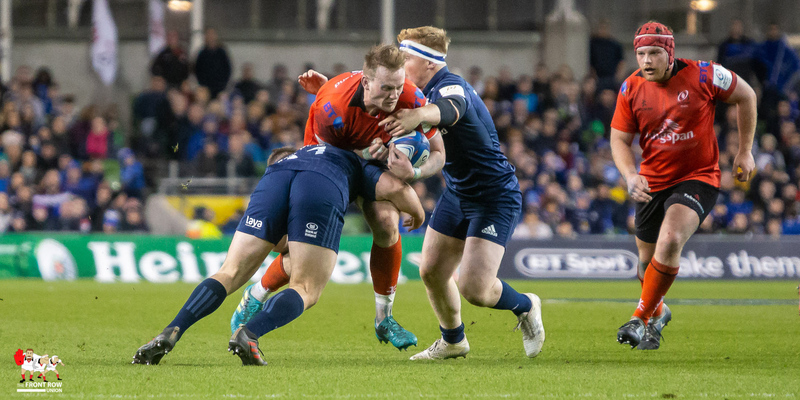 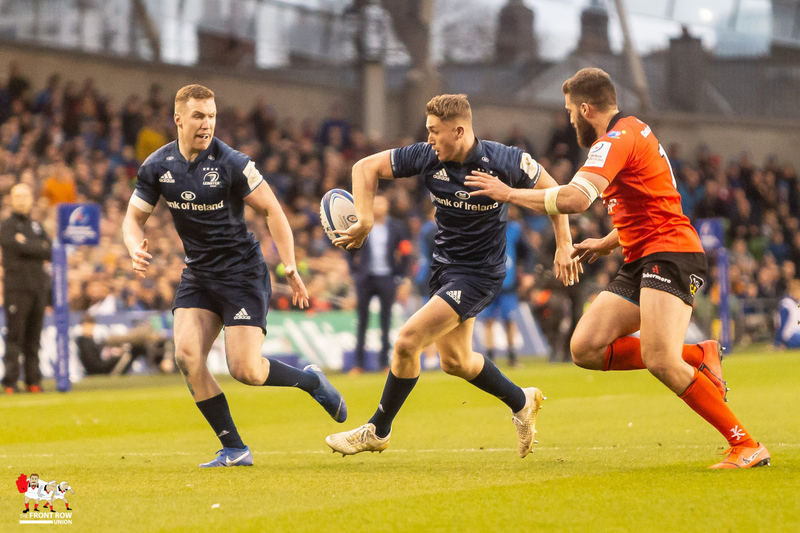 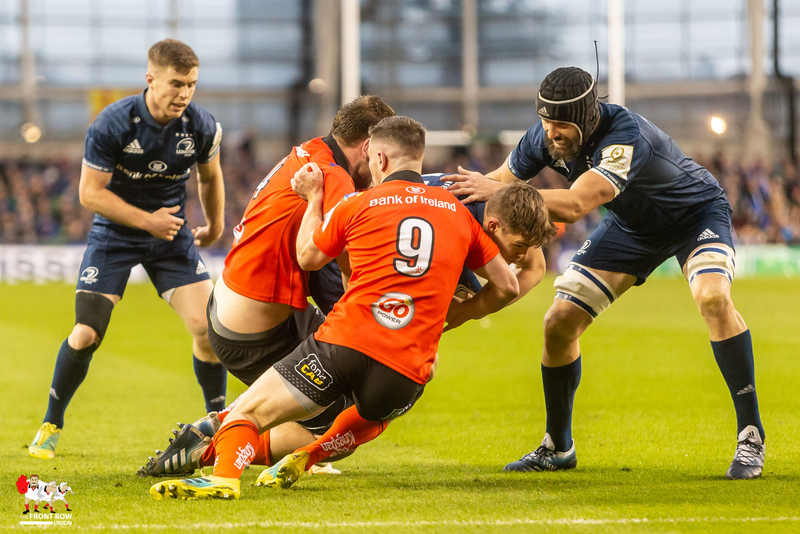 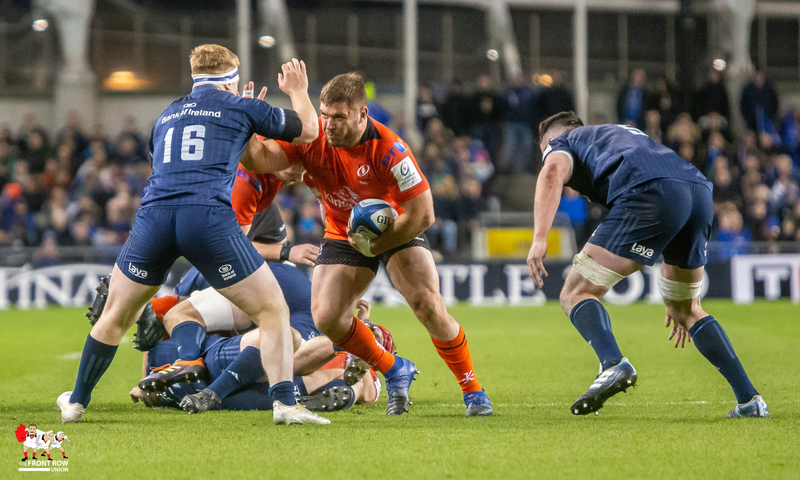 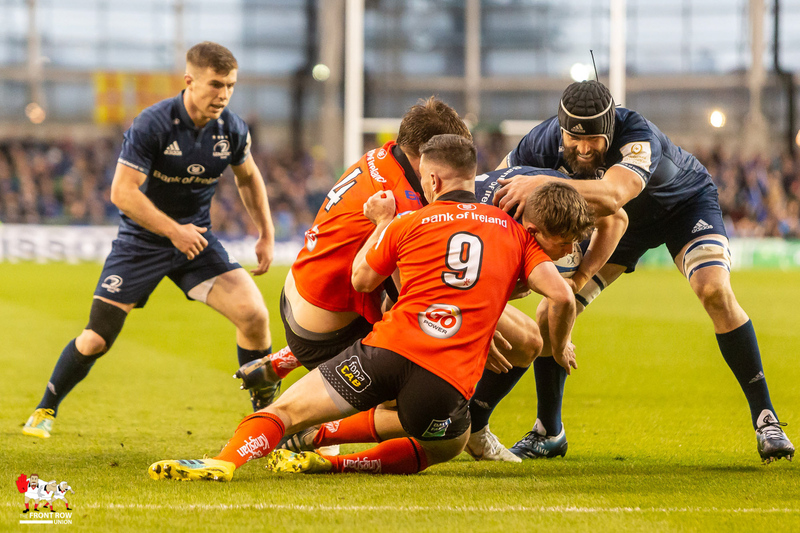 Leinster exploited tiredness within the Ulster ranks allowing Jack Conan to make a break around the fringes of the ruck. 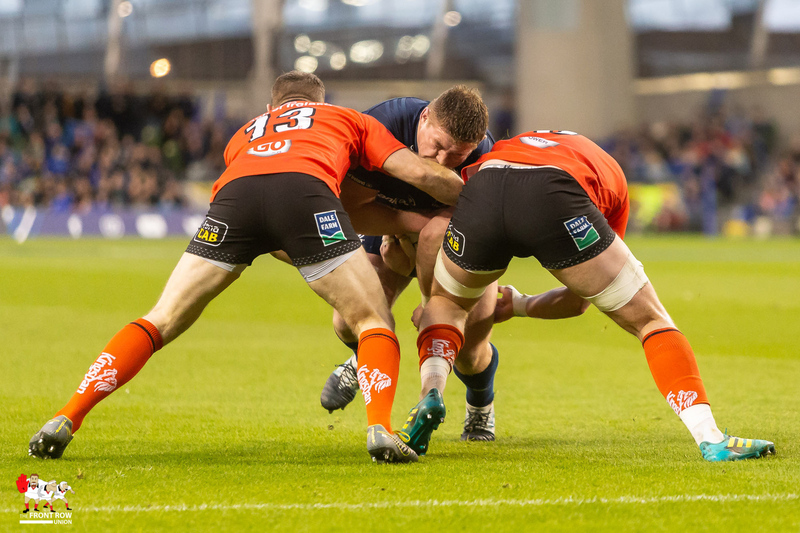 Conan offloaded to Adam Byrne giving the Kildare man a clean run in. 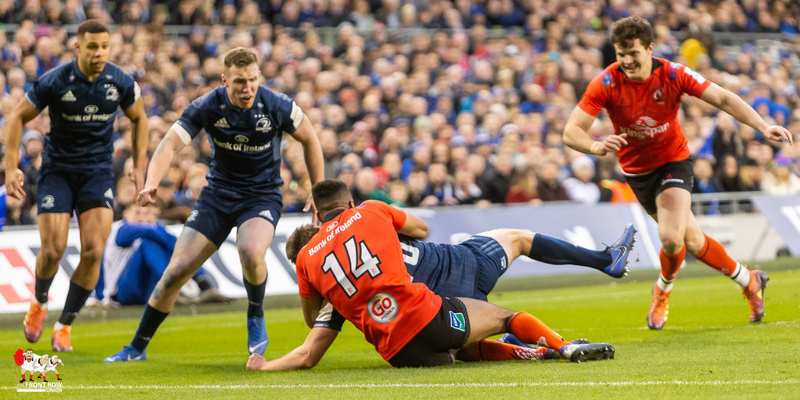 Ulster’s endeavour was not dented. 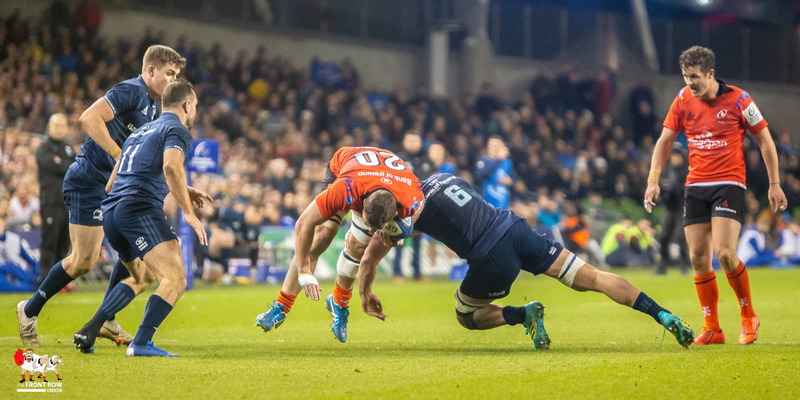 Luke Marshall was introduced and made an immediate impact. 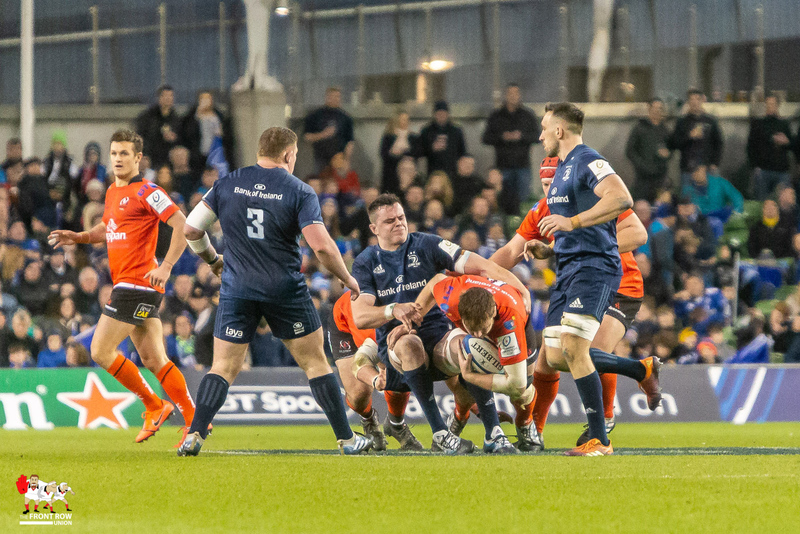 His floated pass out to Jacob Stockdale saw the blue wall penetrated before the Ballymena man benefited from a deft Stuart McCloskey pass and excellent dummy run to allow Marshall barge over and level the game up. 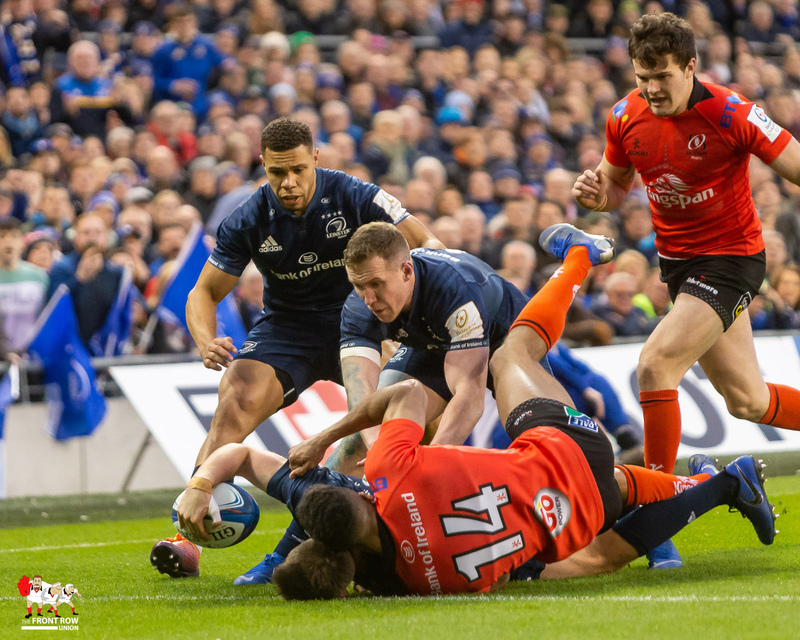 However Leinster kicked into gear in the last ten minutes and put in a performance worthy of champions despite Ulster’s best efforts. 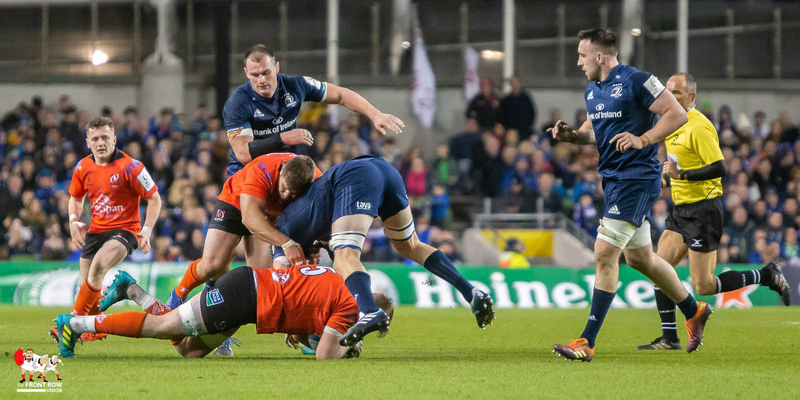 The ball was kept up tight to the ruck while, Michael Lowry was beaten twice in the air to the much taller Adam Byrne. 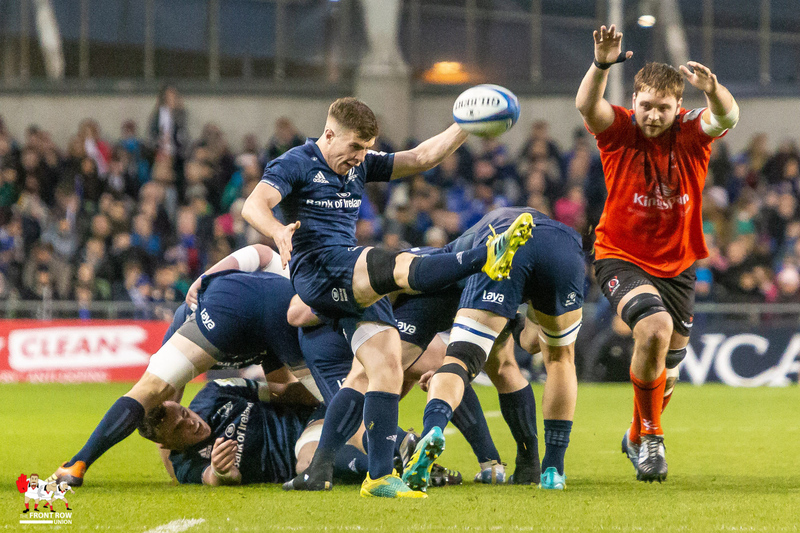 Ross Byrne kicked the winning penalty before the ball was retained through 40 phases thanks to superb forward work, slowly taking away Ulster’s dreams of an elusive win in Dublin. 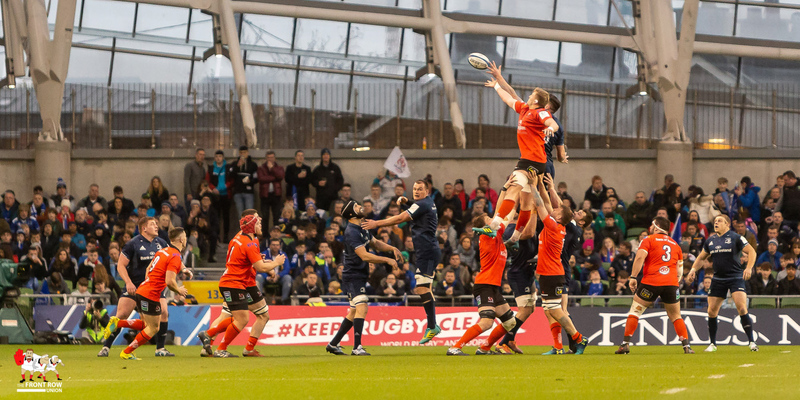 I’ve never been as upbeat after an Ulster loss. 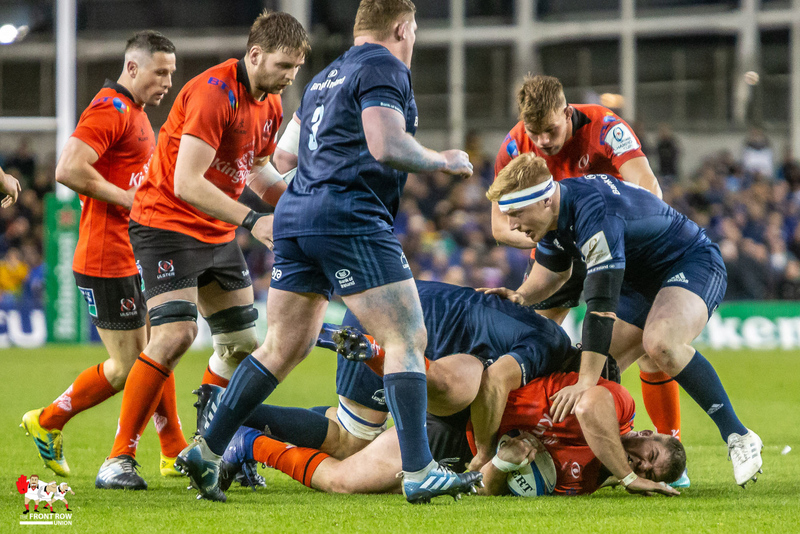 The defence was superb but eventually took its toll on Ulster in the final five minutes as Ulster began to tire. 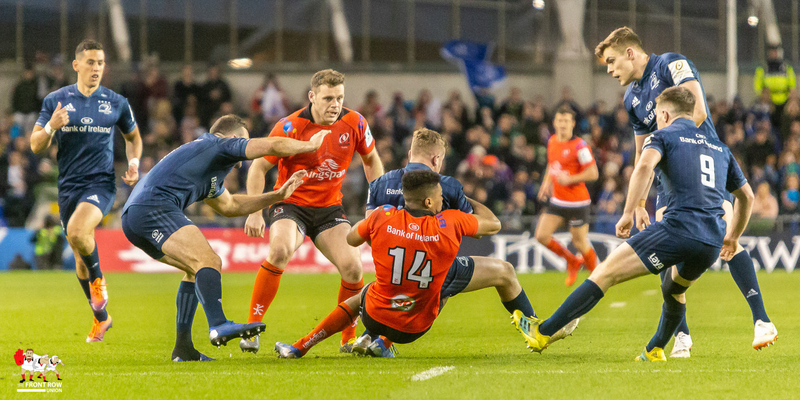 We saw plenty of commitment and reason to be optimistic ahead of the remaining three games in the league. 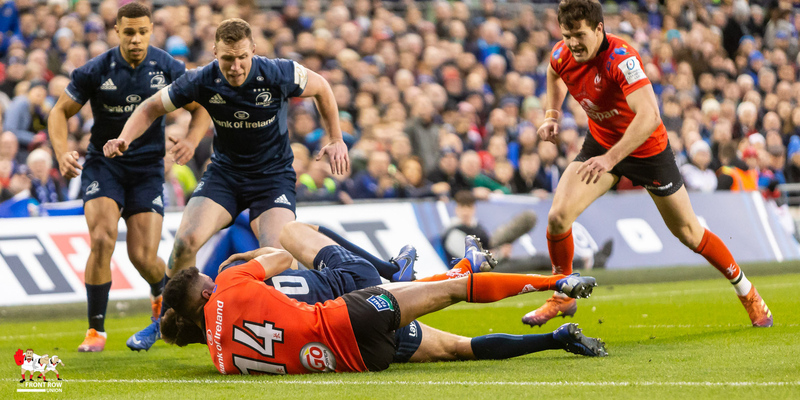 Ulster matched Leinster for the majority of the game leading to Brian O’Driscoll saying that they were the better side! 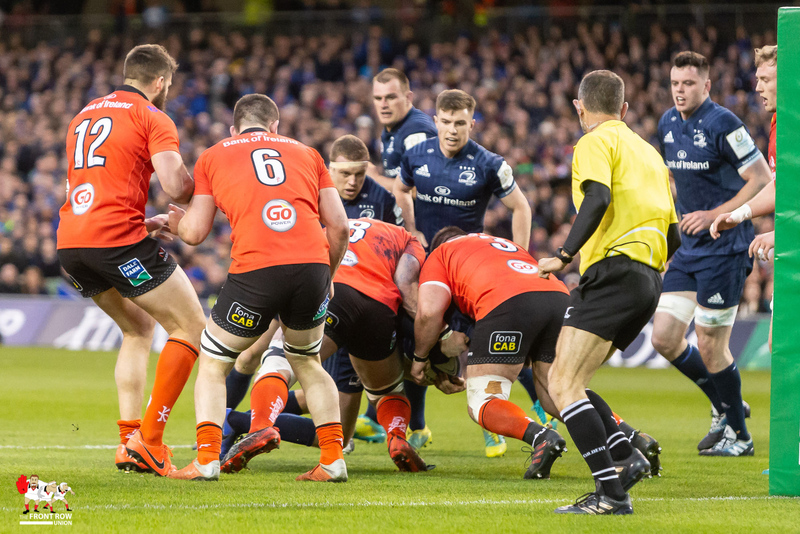 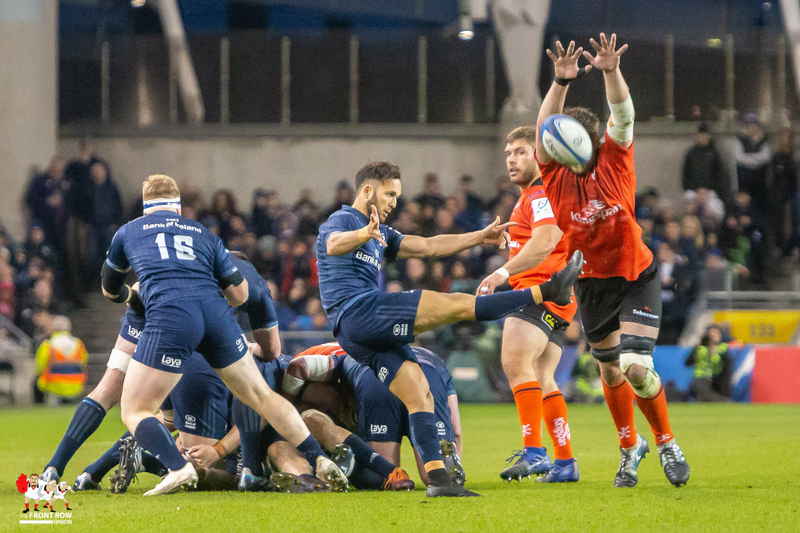 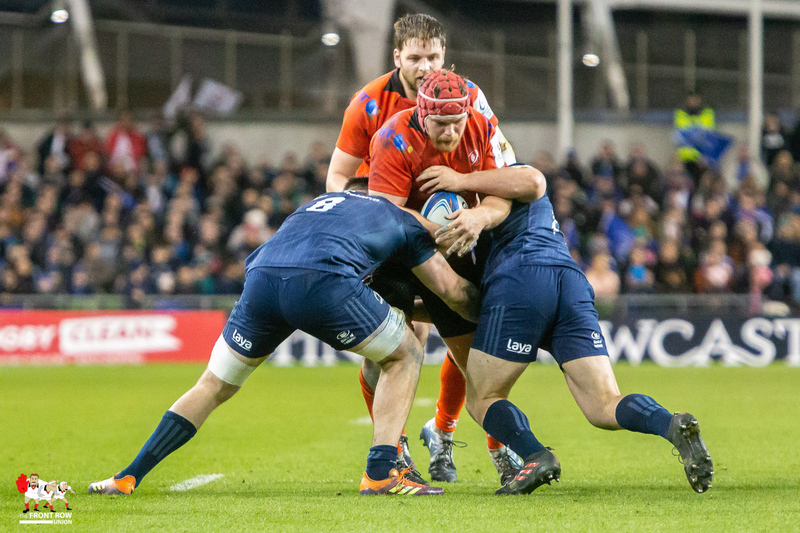 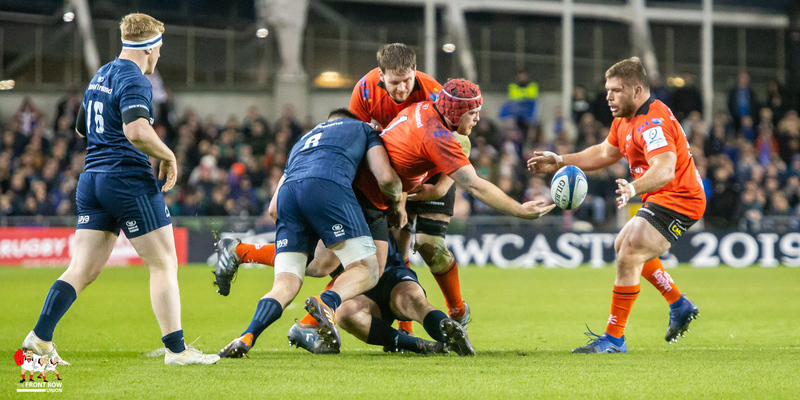 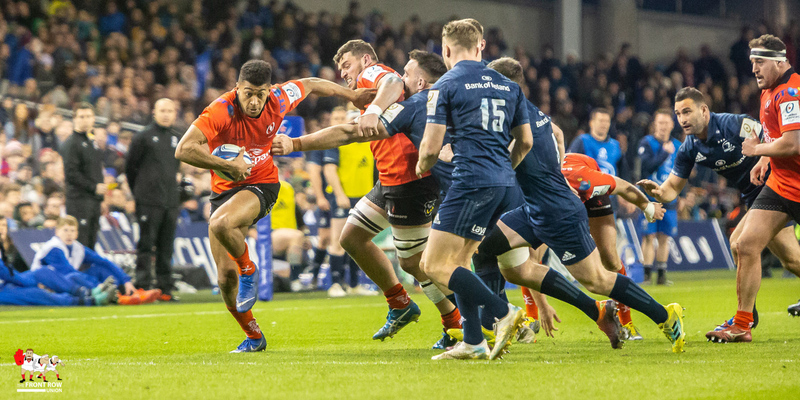 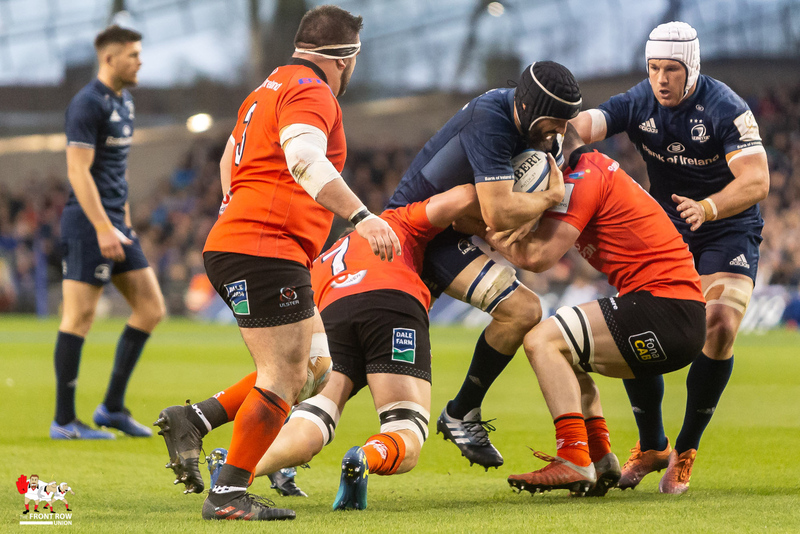 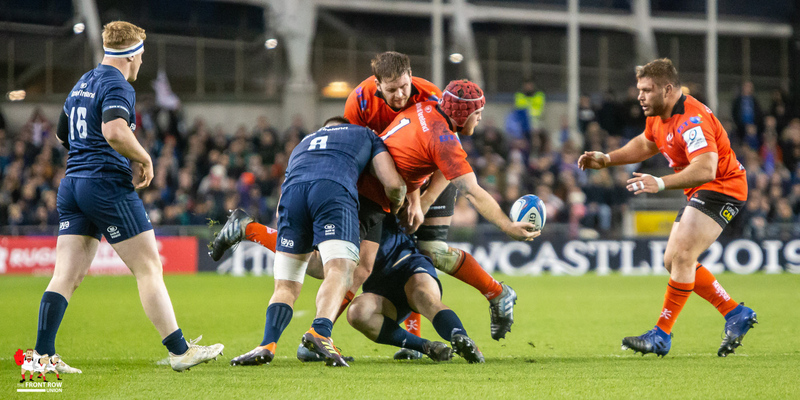 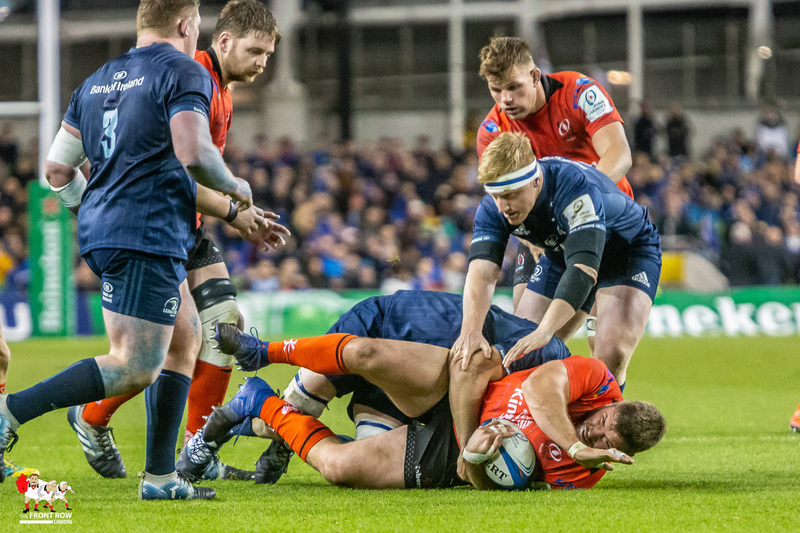 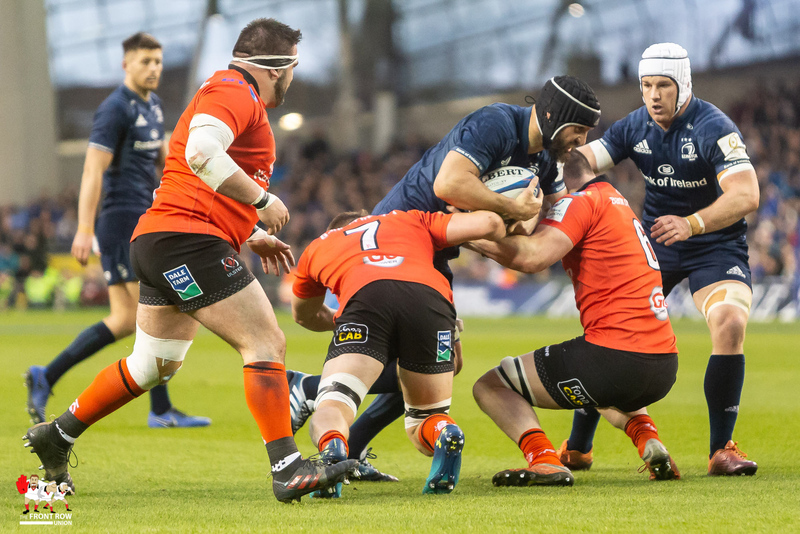 Attention turns to the PRO14 run in with tricky games away to Glasgow and Edinburgh before welcoming Leinster back to Kingspan in the last match. 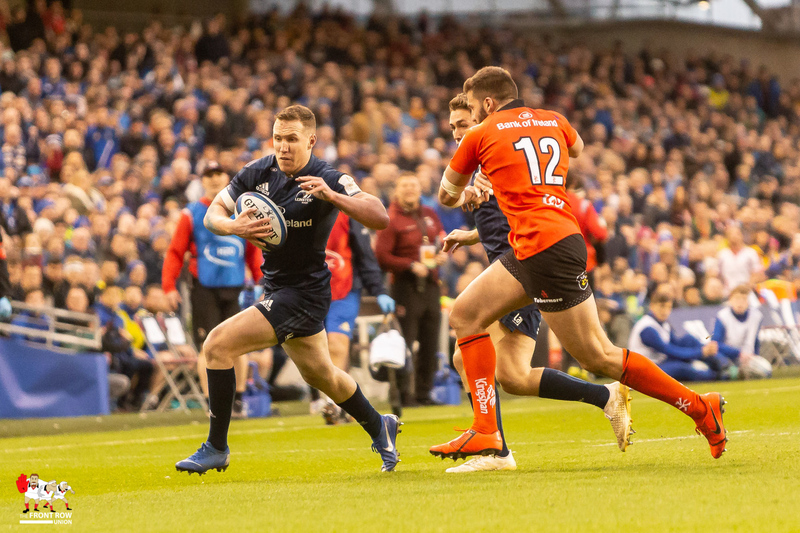 Looking back to where Ulster were last season, the coaching ticket of Dan McFarland, Dwayne Peel and Jared Payne have brought the northern province on leaps and bounds. 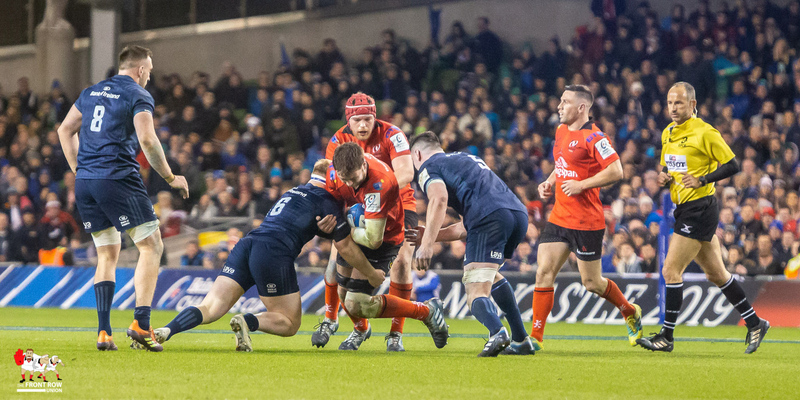 Leinster were restricted to just six clean breaks in the whole game compared to ten back in January. 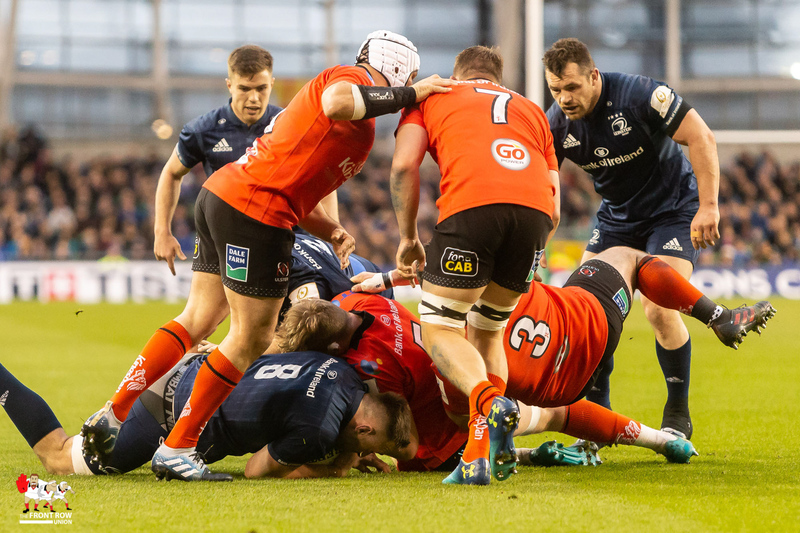 Leinster were off the pace on Saturday but I think that was down to the pressure exerted on them by a fired up Ulster side. 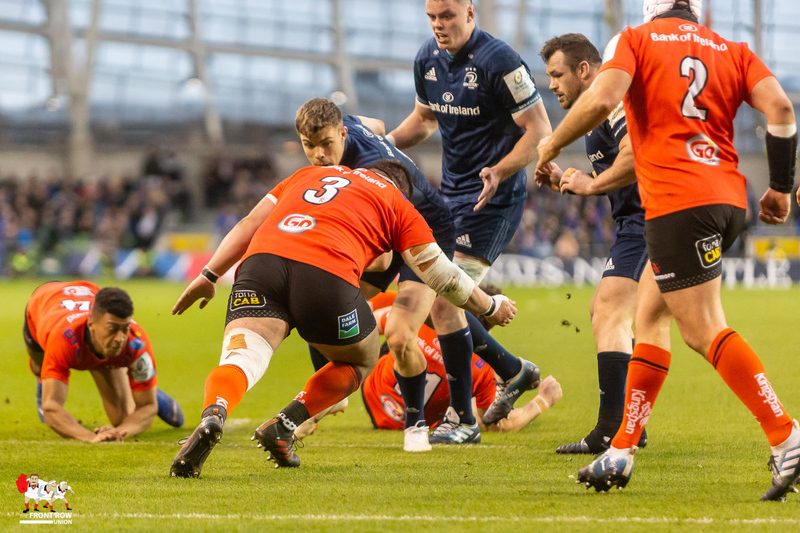 With Leinster’s semi final against Toulouse coming the week before their trip to Belfast and the fact they’ve first place in Conference B sealed, I fancy Ulster to win and claim a second place finish in the conference. 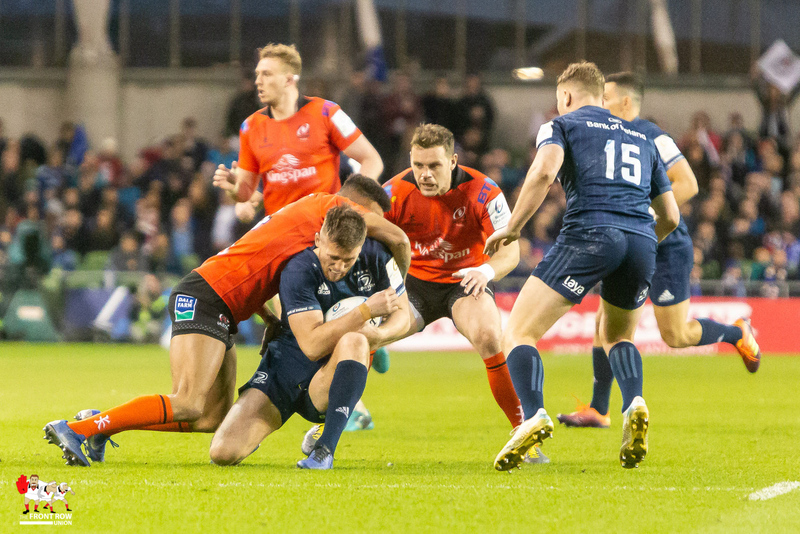 Barring his knock on at the start of the second half, I thought Jacob Stockdale had a fantastic game. 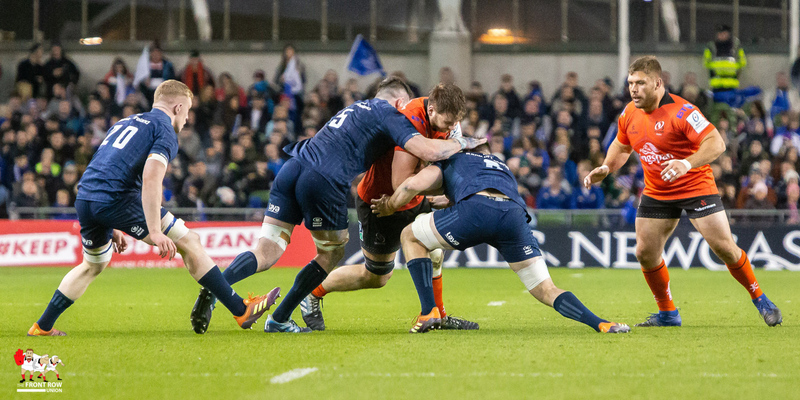 He led the away with metres run (94), making three clean breaks and beating five defenders. 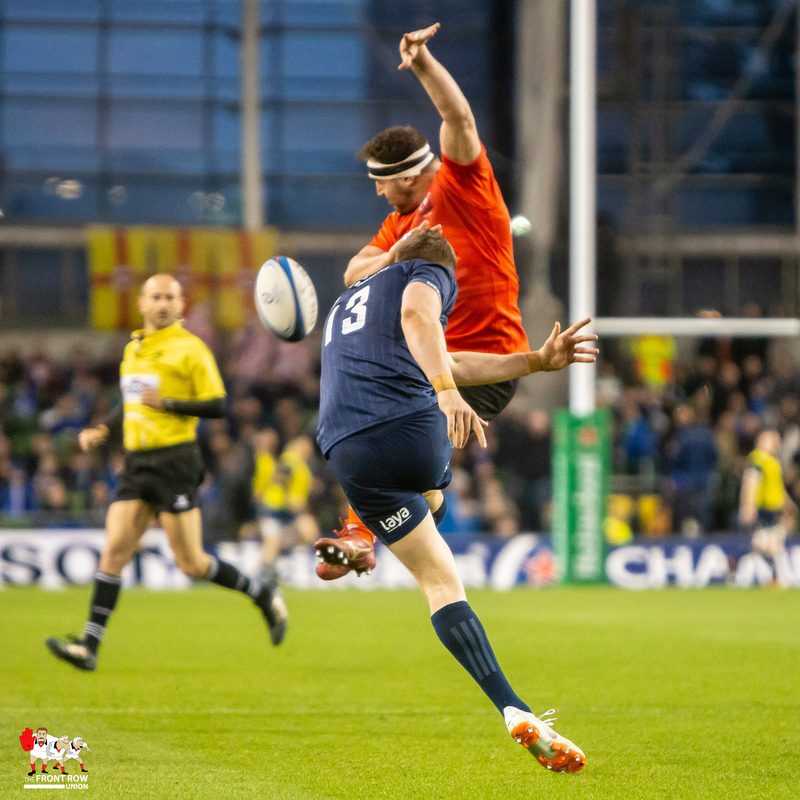 He was also very solid under the high ball beating his opposite man to the ball on a number of occasions. 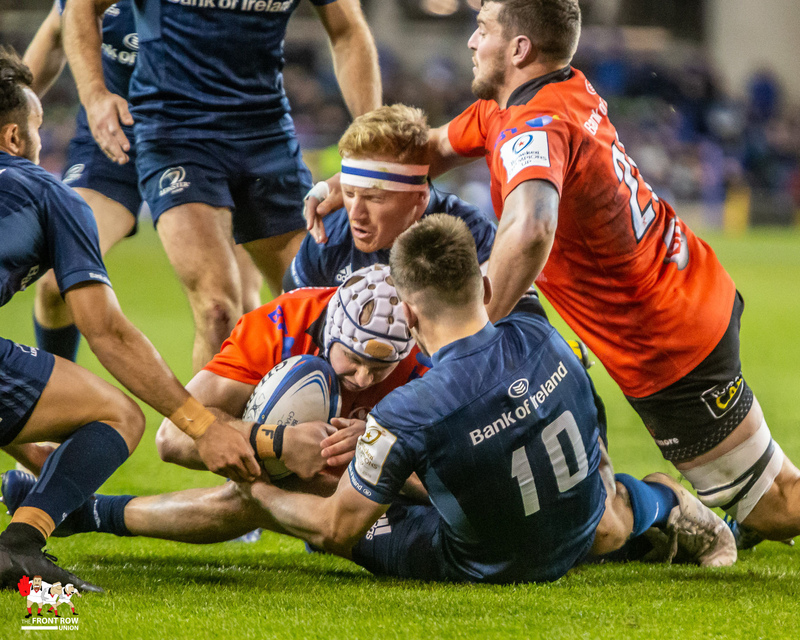 A centre partnership of Stuart McCloskey and Darren Cave pulled off a few excellent defensive reads while Baloucoune also impressed on the right wing, though didn't get a lot of ball to attack with. 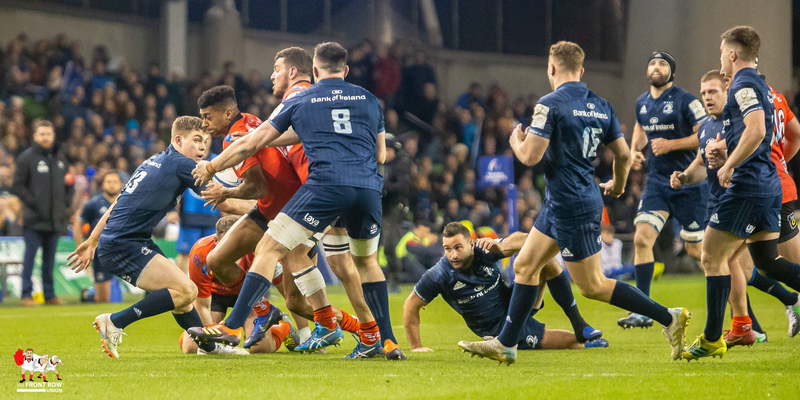 The pack charted some monstrous numbers in defence: Rob Herring, Jordi Murphy, Nick Timoney and Iain Henderson all made over 20 tackles while Kieran Treadwell put in a magnificent performance in the loose and is a great big game player. 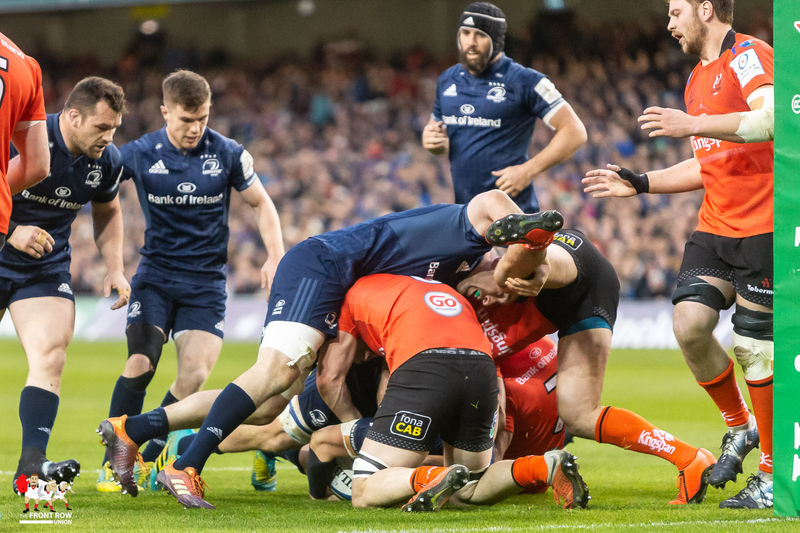 In truth there wasn't a bad performance in that Ulster side and despite the result, I still think the momentum is there to finish the season on a good note.